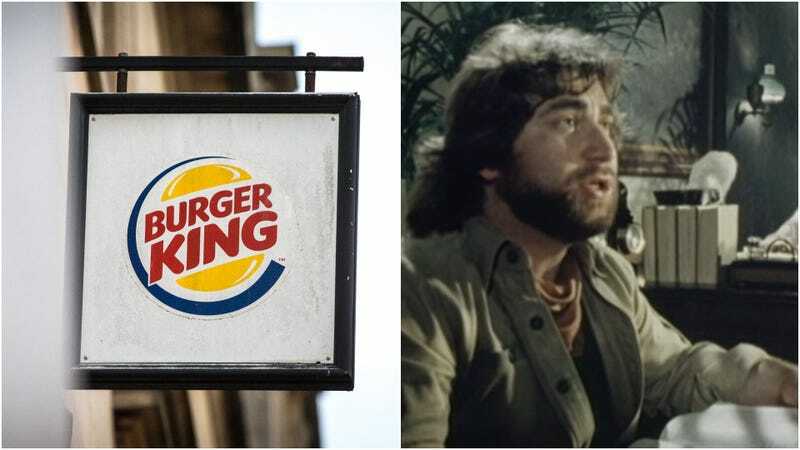 A U.K. Burger King location will continuously bless the rains down in Africa today as it plays Toto’s earworm “Africa” through its speakers on constant loop. All day. Seriously. The Camden Town Burger King will play the 1982 epic as the result of a Twitter contest; B.K. tweeted that it would play the song on loop if the tweet received more than 1,000 retweets. It ended up with 6,600 and counting. It’s just the latest in a resurgent wave for the anthemic song, which was recently covered by Weezer (Toto responded with its own cover of Weezer’s “Hash Pipe”). You know who might not be on board with song’s newfound re-popularity, though? The pitiable Camden Town Burger King employees. Depending on which version of “Africa” is played (IV album version is 4:55, radio edit is 4:21), and accounting for five seconds between each playing, a Burger King employee on an 8-hour shift will hear the song played either 96 times (album) or 108 1/4 times (radio edit). Either way, our thoughts and prayers are with them at this difficult time.